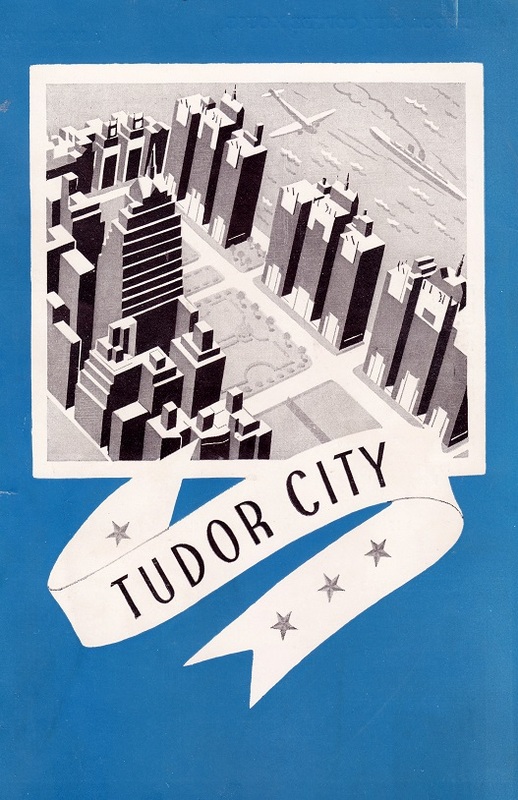 Hard as it may be to imagine, Donald Trump played a role in preserving Tudor City's parks. 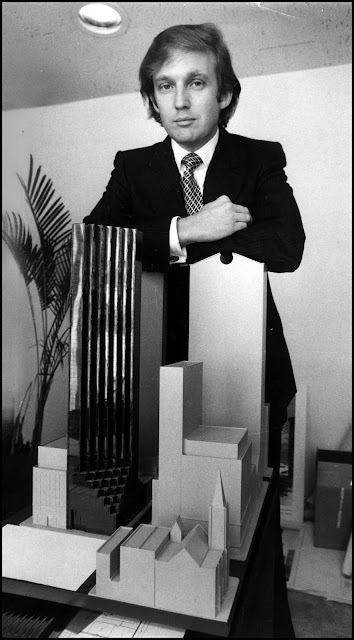 Trump and a model of Trump Tower, 1980. Flash back to Manhattan, 1981. 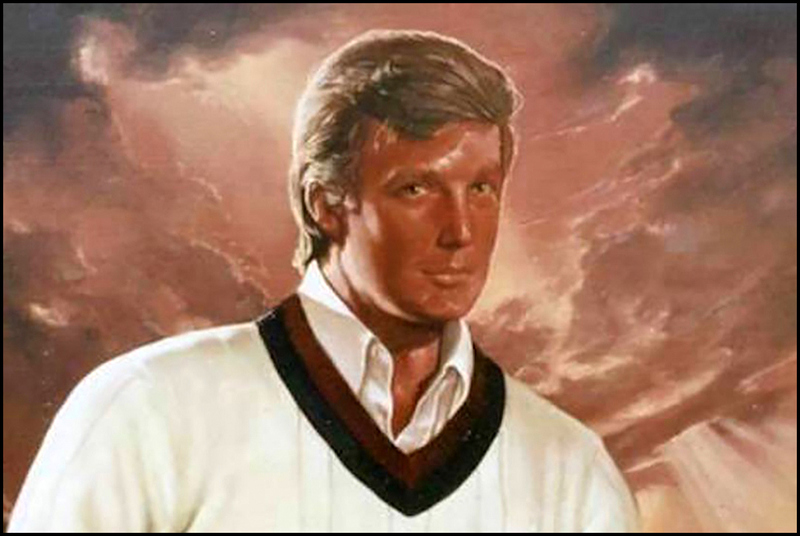 Donald Trump is 35, a brash striver in the real estate game, not unlike another young up-and-comer from another era, our very own Fred French. 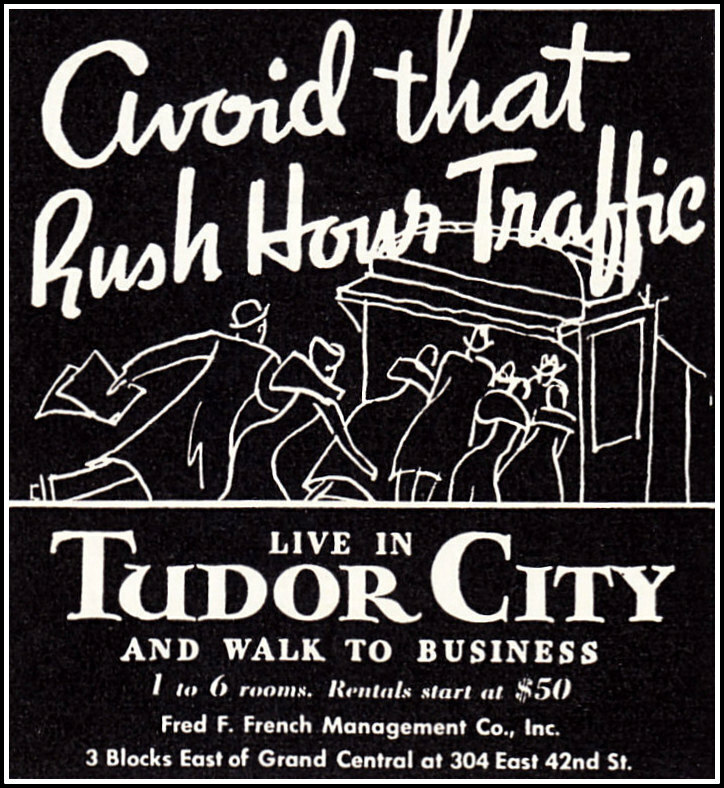 At the time, renowned real estate mogul Harry Helmsley is having problems with Tudor City. 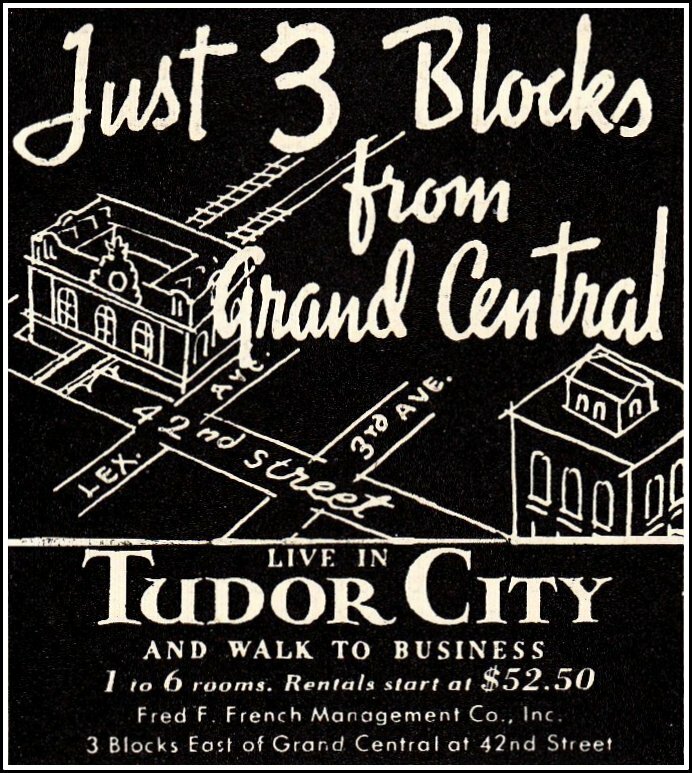 He bought most of the complex in 1970, and for the last decade has been trying to build apartment towers on Tudor City's two parks. There has been fierce opposition from the community, backed up by increasingly irate newspaper editorials. Helmsley's reputation is in tatters. 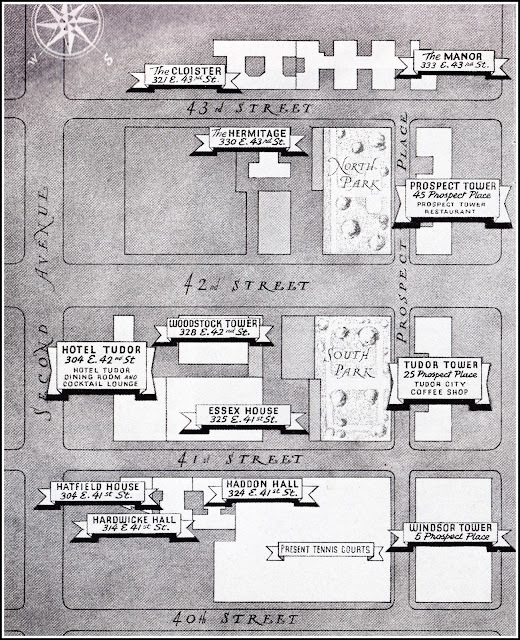 The current proposal on the table is a land swap ‒ the parks would be spared and Helmsley would be given a city-owned vacant lot on the corner of 42nd St and First Ave, the site of a public playground. Enter Andrew Stein, Manhattan Borough President and parks supporter. Stein is friendly with Donald Trump, who has informed him that the playground lot is, in fact, waterfront property, and worth far more than its appraised value. Stein arranges a meeting on the eve of the Board of Estimate vote, and invites Trump to attend. It's a set-up. Not long into the meeting, Trump effectively kills the swap by offering to buy the playground for the tidy sum of $25 million. He pulls out his checkbook and waves it in the air. "This is good," he announces. "You can call the bank to find out." He doesn't have to say much more. 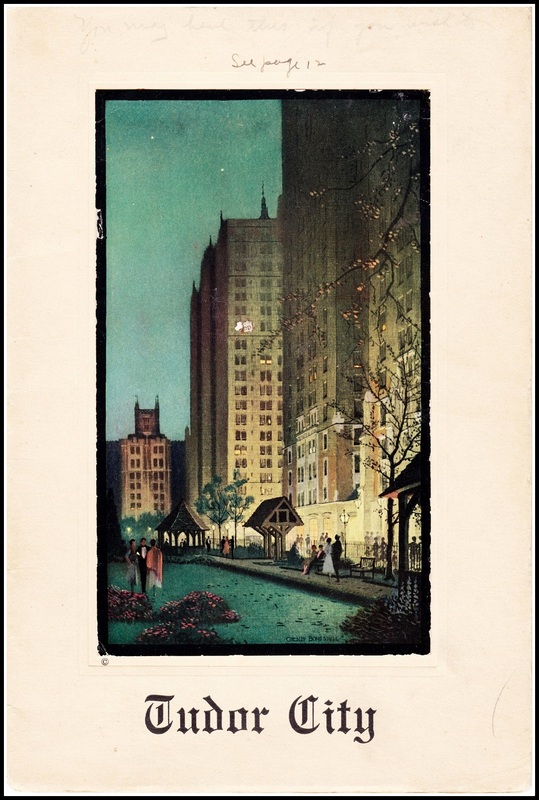 The folly of the city trading valuable property for the two parks is quite plain. The playground land swap never even comes to a vote. Instead, a less desirable First Ave property is offered to Helmsley, and more debate ensues. 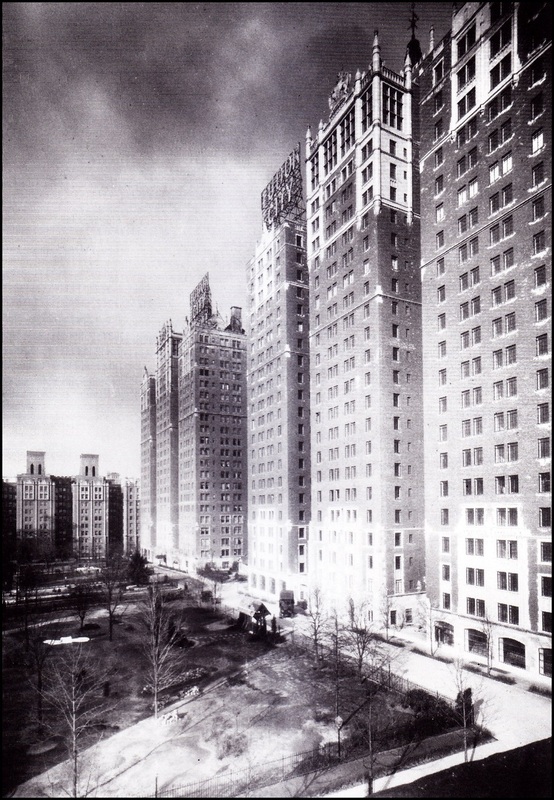 In the end, Helmsley finally yields in 1985, selling the complex altogether. 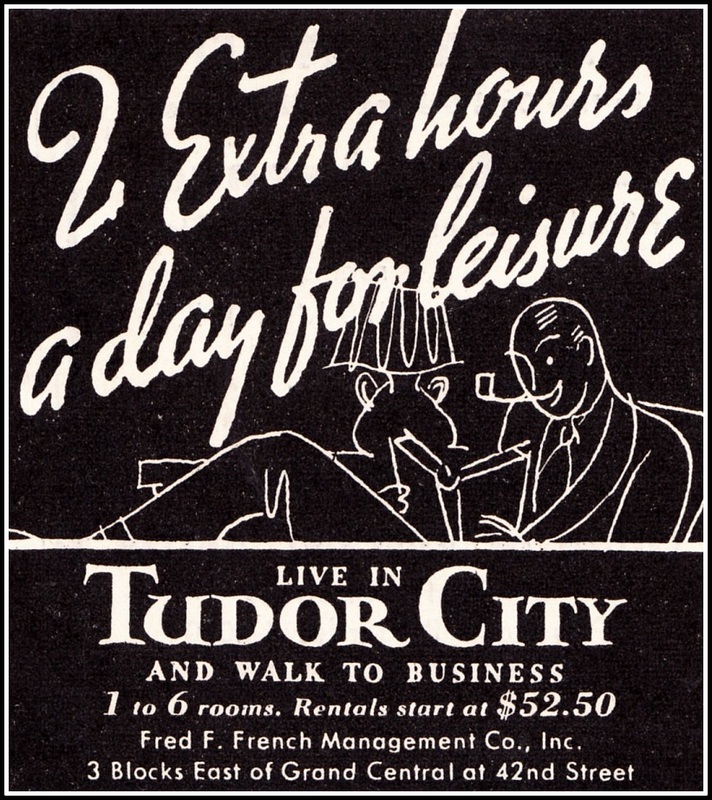 His reputation never fully recovers from the Tudor City debacle. Years later, Andrew Stein is arrested for income tax evasion, and Donald Trump is elected President of the United States. Strange but true.